Jamie joined chambers in 2017 after successful completion of his Pupillage. He specialises in property, commercial, professional negligence and contentious probate work. Before coming to the Bar, Jamie was Managing Director of a national franchising company. He built this company from a sole-trader start-up to a national franchisor over the course of a decade, before selling it to join the Bar. Jamie brings to his practice commercial pragmatism, robust negotiation and business acumen garnered in the “real world”. Jamie uses his business understanding to bring a robust yet practical approach to commercial disputes. His first-hand experience of problem-solving ranges from supplier disputes to franchisee non-compliance and informs his approach to litigation and legal advice. His insightful approach resonates well with business clients who see in him a kindred spirit. Jamie’s commercial experience includes freezing injunctions, professional negligence, negligence and contract litigation between businesses, claims by consumers and business debt recovery. Jamie brings a breadth of real estate knowledge and experience to the Bar, spanning commercial property, social housing and private housing work. He worked at Eversheds LLP (as they were then) on commercial leases and the property elements of M & A deals. He has good knowledge of the social housing sector and is a private landlord, managing a portfolio of tenanted properties. 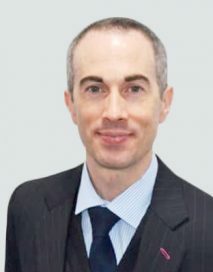 He has used this experience to advise, draft and litigate in matters including boundary disputes, possession hearings, rights of way, TLATA claims and conveyancing professional negligence. Jamie’s expertise extends both to the advising in non-contentious issues and to the conduct of litigation when such matters become contentious. This includes disputes between beneficiaries or with executors over capacity, under the Inheritance (Provision for Family and Dependants) Act 1975 and arising out of the execution of the trusts provided for under wills. Jamie accepts instruction in all areas of will, trust and probate work. Jamie is experienced in personal injury work, credit hire and RTA work. He regularly represents claimants and defendants in fast track and small claim hearings across the north-east circuit.